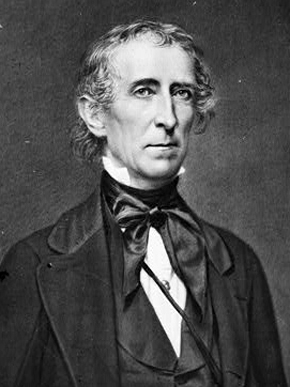 John Tyler (1790-1862) was the 10th president of the United States, holding office from 1841-45. He became president with the death of William Henry Harrison a month after he took office. Before his presidency Tyler was a representative in the U.S. House and Governor of Virginia. He joined the Whigs in opposition to President Andrew Jackson before being elected Vice President in 1840.